When you look at the R.O.I. that smart digital marketing can provide, it becomes a lot clearer as to why brands are increasingly focusing in this area. Digital marketing campaigns give marketers the ability to select and communicate with a highly targeted consumer base. This means that considerably less budget is wasted on hitting eyes that aren’t interested in what your brand has to say. The other massive plus point of running digital campaigns is that you have the power to gain insights into what’s working, then tweak and optimise them in real time. Again this means far less wasted budget! Tracking the exact R.O.I. from mass market channels can be tricky. 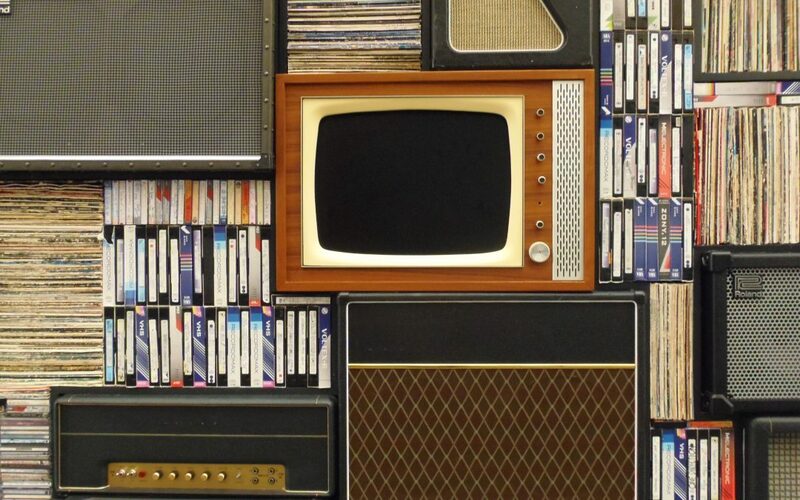 For example, you might be able to calculate a rough sales uplift if you are running just the one T.V. advert or radio promotion with no other activities at the same time, but if you have several concurrent campaigns, then attributing the uplift to a specific campaign can be pretty tough. With digital however, tracking the exact R.O.I. of your campaign is far simpler. You can see which ads are performing well and turn off those that aren’t. You can also assess which content is resonating well and tweak your content marketing strategy accordingly. The result? You guessed it – highly optimised and cost efficient digital marketing! The chart below shows some smart insights into what 2020 could hold. 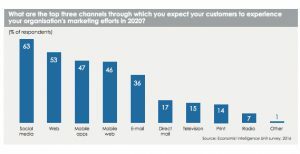 Social media is predicted to be the most important customer channel that consumers will experience, with mass market channels at the bottom of the list! This indicates that the increase in the trend towards two-way brand and consumer conversations will continue and the ghostly one-way megaphone approach will fade away. This continued rise in open, honest two-way marketing communication will no doubt mean an increase in the hiring of content/social marketing employees. So if you haven’t already started to hone your social and digital marketing skills then I suggest it’s well worth it, as it looks as though these skills are going to be an essential part of any marketer’s toolkit for years to come! If you want to read up on some further 2017 digital marketing predictions, then check out the Simply Measured blog for more handy insights.